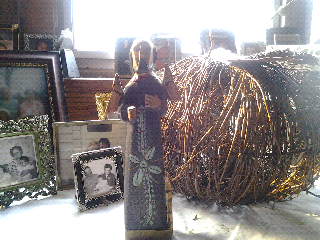 A little wooden statue I found at a local flower shop a few years ago, so we could have it for this feast day! 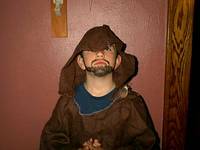 Sam in a St. Francis costume we made a few years back. 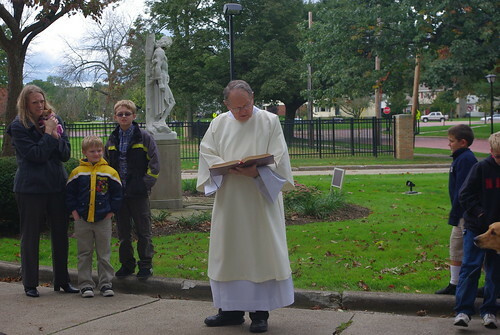 It's always a little hard to celebrate a neat feast day during the busy week! I wrote a little about how we celebrated the Feast of St. Francis back in 2007. 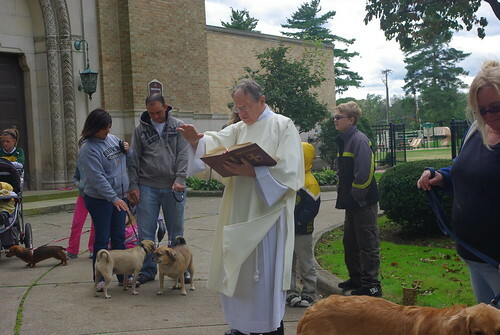 If you are lucky, there will be a parish near you that has a blessing of the pets. 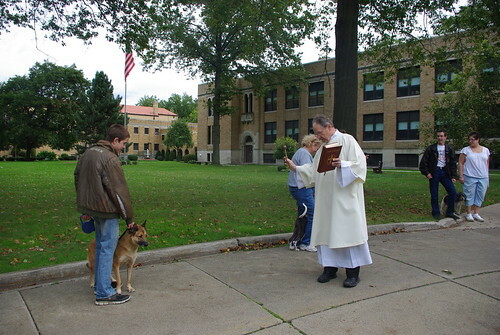 A beautiful blessing about how God has given us the animals to bless our lives. 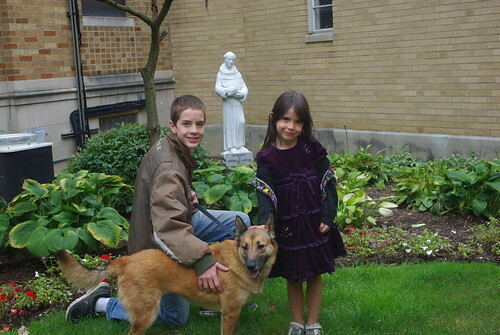 Noah holding our dog Sophie, while the good Deacon blesses her! This year, since our church didn't offer that, we're going to do our own blessing with Holy Water from Church and this prayer from Catholic Online. Lord God King of heaven and earth, Thou the Word of the Father by whom all creatures were given us for our support: look down, we beseech Thee, on our lowliness. 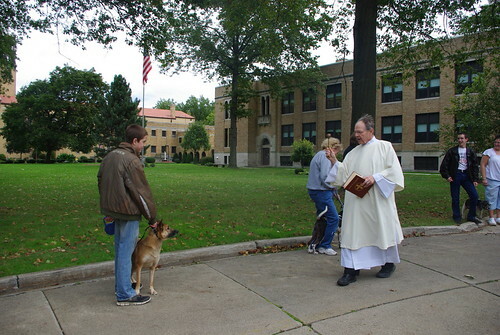 As Thou hast given us these animals to assist us in our labors and needs so mayest Thou in Thy great goodness and mercy bless them from above, guard and preserve them; and, while Thou givest Thy servants temporal benefits, mayest Thou grant us thy continual grace so that we may praise Thy holy name with thanksgiving. 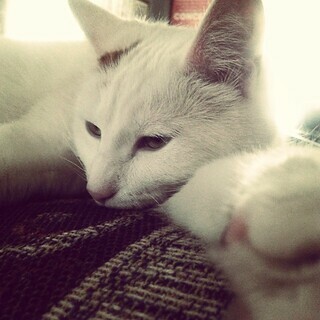 and bless our Kitty too!